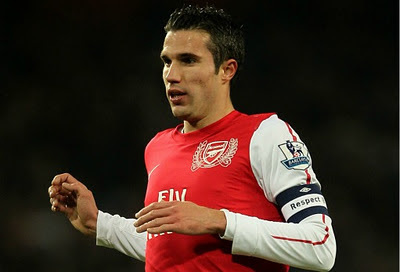 Ashburton Grove - Arsenal news and Arsenal opinion: Wenger to axe RVP -Almunia's having a Carlsberg experience -Eisfeld injured already? Wenger to axe RVP -Almunia's having a Carlsberg experience -Eisfeld injured already? I don't think the mood has lifted since the draw on Wednesday. I'm sure I wasn't the only one to notice that Gooners on Twitter, Facebook and message boards were grouchy by the result at the Reebok. I agree it wasn't good enough. It was a game we should have won. But at this point in time I'm happy with any type of green shoot of recovery - especially to our league form. We've not been at our best for quite some time. In fact I'm struggling to remember a performance since the impressive 4-0 at Wigan where we've really showed what this team is all about. But the Bolton draw was the first time in a league game since the opening match of the season where neither teams have put the ball in the back of the net. The team put an impressive run together which saw us crash into the top four for the first time this season after the 1-0 win over Everton back in December where Robin van Persie scored the only goal on the same day as we celebrated our 125th anniversary. But since then we've been on a downward curve where it's come to league result. Yes, we've had the odd positive result but you could call this our bad run of form. Every team goes through a dip at some point in the season - let's hope the green shoots we saw from keeping a clean sheet and creating all those chances are this team reversing course and heading back towards where we were going prior to our defeat at Manchester City. I don't know any Gooner who doesn't want us to be in the Champions League next season. The implications for us should we fail to qualify are huge. We've had many a scare in recent years but this season really does feel like it's the biggest test for the manager to get this team back into Europe's elite competition. And the players know what is expected of them. "It's going to be tough to finish in the top four but I think we have the quality and desire to do it. "I know how good we are, yet we need to start showing it and get back on a good run." If that good run the Spaniard is talking about turns out to have started at Bolton, then the result will sit more comfortably with everyone. A win against Blackburn is a must tomorrow and it appears that the team might well have to start the game without Robin van Persie. The Sun are under the impression the captain won't start the game because the manager feels he's played too many game recently. There are no quotes to back up this assumption - but you can see it happening. I'd expect we'll hear more when the manager speaks to the media later. Another player who won't be playing any part of our league campaign is Manuel Almunia - who has been removed from our 25 man Premier League squad list so we can play Theirry Henry. So the Spaniard can enjoy his £60k a week for doing very little - although he could still see action in the FA Cup or Champions League - whilst we pay some of the highest ticket prices in Europe. Was there really no one who was prepared to buy him from us last month? Why still have him on the wage bill if he's not going to play? At least we'll know where to find him on match days... in the new Carlsberg Lounge of course - sipping on pints costing £4.50! I'm a bit concerned about our new signing Thomas Eisfeld. It appears he's already injured. Reserve team manager Neil Banfield said after his team's 2-0 win over Swansea that our new German signing had taken a knock to his knee. "I am delighted with young Thomas. He was a little bit nervous as he doesn't know anybody, but he has settled in great. "At half time we decided to take him off - he got a little knock on his knee, so there was no need to take any chances. He had a good 45-minute run out." It would be just our luck if our new signing was already crocked. Let's hope for the best. The manager has his press conference later and I'm sure it's going to be interesting.